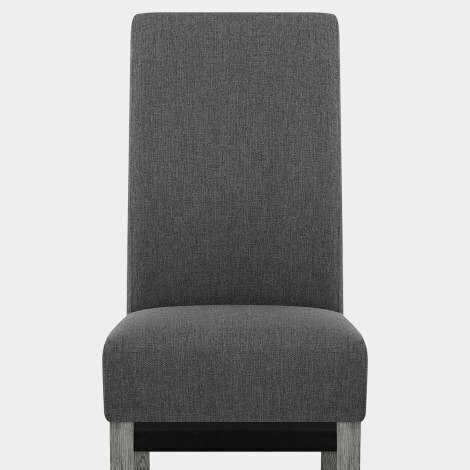 A timeless design is given a modern spin with the Carlo Grey Oak Chair Charcoal Fabric. With its striking grey colour combination, this traditional piece of furniture will not go unnoticed in your interior. The Carlo’s cool design is simply unmissable. 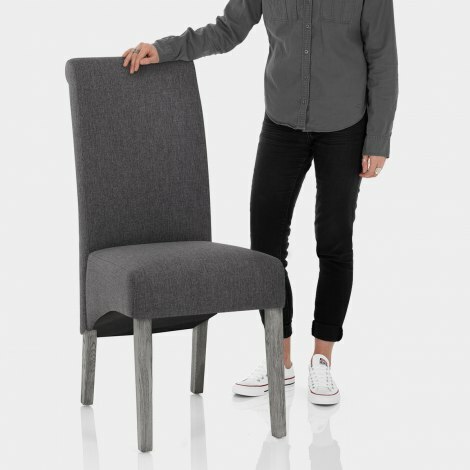 Charming charcoal fabric upholsters the entire seat, and is filled with high density padding for the utmost comfort at your dining area. 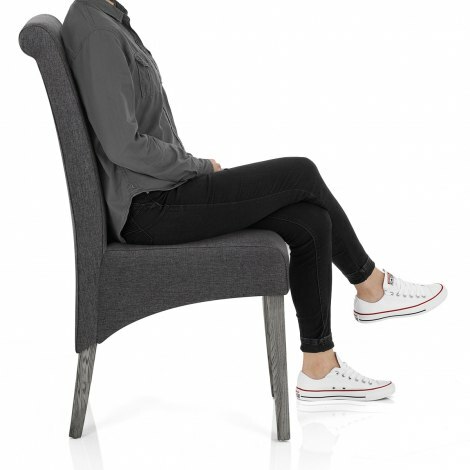 Highlighting the classic style is the supportive elongated backrest, which curves down below the seat pad and is complete with a simple scroll top. The strong four-legged frame is solid oak and complements the seat with its contemporary grey finish. Further functionality is added with the protective plugs beneath the legs, working to help take care of your floors.